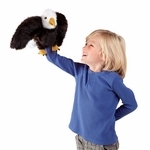 Folkmanis 3114 - A bird in the hand is a good thing when it's a Folkmanis® Small Eagle Puppet. 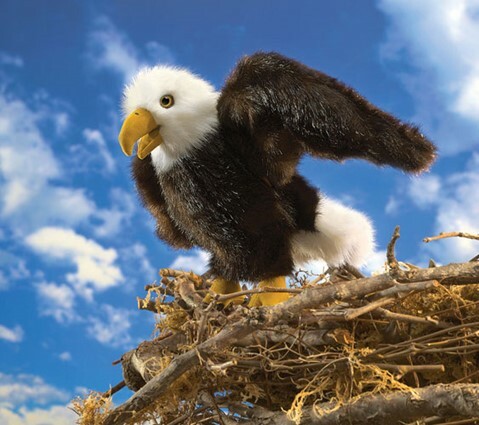 This regal raptor has movable beak and wings to fly the friendly skies with the help of your creative imagination. Movable mouth and wings. Note: 20" is the Width of the Wingspan. Puppet measures 12” long x 20” wide x 10” tall.